If you've been waiting for more information or a first look into Funcom's upcoming Age of Conanexpansion, Rise of the Godslayer, then you're in luck! This Thursday, April 29th at 12:00pm Pacific (3:00pm Eastern / 9:00PM CET), they're planning on holding a special preview streaming event in conjunction with Xfire to give everyone an early look into the exotic new lands of Khitai. "Age of Conan: Rise of the Godslayer is now very close to launch and we are very excited to share our view of the expansion with the world through Xfire," says Game Director and Executive ProducerCraig Morrison. All you'll have to do to catch the preview is to point your browser at the main Xfire site at the time mentioned above, sit back, and enjoy the tour. 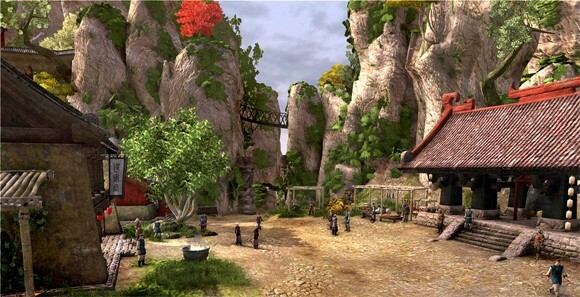 The game's developers will be taking players along as they adventure through some of the new content, offering a chance to see lands and sights as yet unexperienced. There is also a plan to do a question and answer session after the preview as well. If you've been waffling on picking up the expansion, it sounds like a great way to figure out if it belongs on your "must pick up" list -- or to ask any questions about Age of Conan that you may have.